Enjoy the experience with your kids!!! 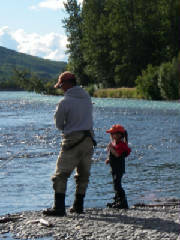 Imagine your vacation to the Kenai Peninsula. You’re captivated by Sockeye Salmon breaking surface then crashing back against the roaring river. 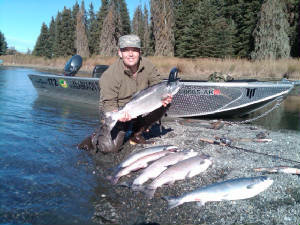 From bears with cubs to majestic bald eagles soaring above and from the immense salmon runs to the wild Rainbow Trout and Dolly Varden, the Kenai River covers it all with depth and action. Treasure the breathtaking and engaging landscape to the priceless and unpredictable wildlife; this is the adventure of a lifetime. 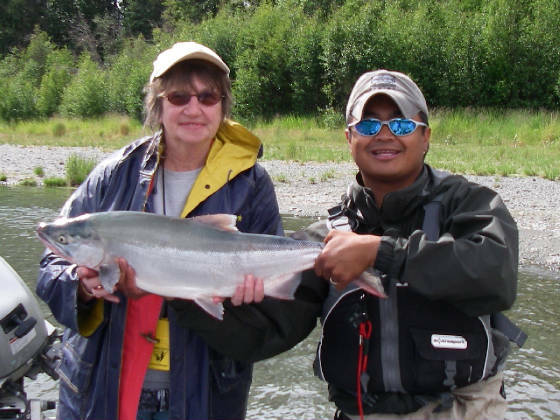 Explore the last frontier with professionals who have a passion for bringing Alaska’s fishing and splendor to you. "Let us be your Guide"